Wildlife Services-vs-Oregon Wolves. Let Your Howl Be Heard! This recent release (see below) from Wildlife Services really has me wondering. They are asking for public comment on the wolf issue in Oregon, however their statement appears to already be slanted, and you can guess in which direction. Wildlife Services says they are “assisting” the State, the Department of Fish and Wildlife, and the Tribal Government with management regarding wolf conflicts. In their words, there is a “need for action based on confirmed and chronic livestock depredations…” I’m concerned about this “action,” it sounds as though a decision has already been made. They also go so far as to say that there is a “potential for wolves to threaten human safety.” Come on! This is a Government agency, supposedly staffed by trained individuals, yet they are expressing concerns about wolves harming people! I should not be surprised. Wildlife Services has been exposed as an agency that avoids facts and is guilty of multitude cover ups. They certainly do not represent the vast majority of the people they are supposed to serve. What bothers me in this otherwise politically correct statement is the phrase, “…managing wildlife for the interests of all Oregonians.” This, I believe, is far from the truth. Most of us in this state (and other states as well) do not want our predators annihilated for no reason, and certainly not to the gross extent that Wildlife Services has been guilty of. Please respond to this request for public opinion by September 10. Simply click on the link below and add a comment, up to ten pages worth if you have a lot to say. The more we speak up, with clear and essential facts, the better our chances of being heard for the benefit of wolves in Oregon. I’d love to see your response, I’m formulating mine and will post it as soon as I’m finished. Description: This environmental assessment (EA) evaluates a proposed action and alternatives to assist the State of Oregon, Department of Fish and Wildlife (ODFW) and Native American tribal governments with management of gray wolf (Canis lupus) conflicts throughout the state. The actions to protect livestock are immediately necessary in portions of the state where the gray wolf population is managed by ODFW and by the Confederated Tribes of the Umatilla Indian Reservation (CTUIR). 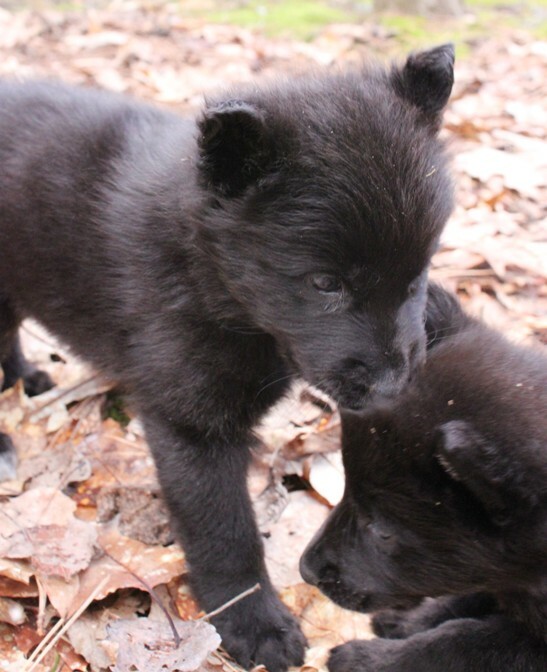 The need for action is based on confirmed and chronic livestock depredation, and although less likely, the potential for wolves to threaten human safety. We are down to the eleventh hour here. I chose to support Alternative 2, non-lethal measures. Suzanne Asha Stone of Defenders suggests this as well. The reply doesn’t take but a minute and we only have until midnight tonight. I support Alternative 2, non-lethal measures, over the other choices, although I believe the grey wolf should remain under Federal Protection in all areas. If Wildlife Services were to thoroughly, and without prejudice, research all manners of non-lethal measures of preventing livestock depredation by wolves they could assist livestock owners in a truly capable manner. 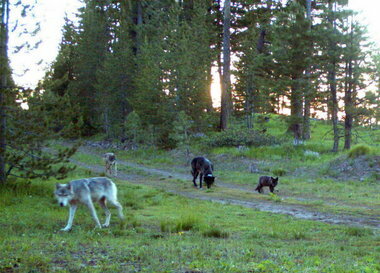 Wolves are here to stay and therefore, ranchers will need education on how to prevent problems. There are private individuals including Steve Clevidence, Timm Kaminsky, and Carter Niemeyer who can help provide this training. For Wildlife Services to regulate wolves without changing their practices is quite unprofessional. The public is well aware of the history of Wildlife Services and will not tolerate any further cover ups nor the over-killing of predators. I must add that the repeated concern in your document over wolves being a threat to humans speaks to your agencies’ misunderstanding of these animals. Are you not aware of the record on this? Please do your research. Of course, there is always the possibility of a wolf attack on a human but your over emphasis of this potential makes it appear that you are either unaware of the facts or you are trying to slant the argument in opposition to wolves. Either way is unprofessional. The wolves of this land were here before we were. They have as much of a right to pursue survival as we do, if not more. “Wildlife Services” is a disturbing misnomer of an agency that exists solely for the benefit of the livestock industry; it should be renamed honestly as “rancher’s services.” There are very few wolves in the state of Oregon, and there have never been any wolf attacks on humans in this country. The fear-mongering and predator hatred of Wildlife Services is a disgrace to a supposedly modern society. This fear and hatred is unfounded. Wolves are not our enemies. We are theirs. Please allow then the right to exist on the land that is rightfully theirs. It would be a shame to go down in history as the ignorant people who were, once again, responsible for the desimation of one of this continents greatest assets.